We are committed professionals and you can expect a very high level of service from the Lomond Hills team. We are always here to answer our questions and help you to prepare for your new arrival. Our service and support does not stop once you have collected your puppy - in fact, the majority of emails that land in our inbox are from Lomond Hills puppy owners with questions and updates on how their puppy is getting along! 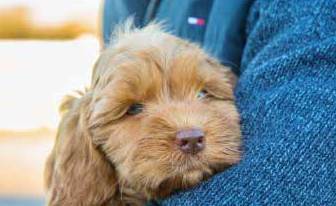 We are here to support you as much or as little as needed throughout the lifetime of your Lomond Hills puppy. We won't pester you with emails and calls but we're always happy to hear from you. This is family-run breeding programme based at our family home. We run a very structured operation to allow us to give our dogs and puppies the best care, provide a high level of service to our clients and also take some well-deserved time off to spend with family. We politely ask that you respect our office hours, policies and procedures as they are all there to make this possible. Our email inbox is monitored during the week and we aim to return all emails within 24 hours. Emails received on a Friday afternoon or over the weekend will be returned on Monday. If your message is urgent and important (e.g. you are seriously concerned about your puppy's health), please don't hesitate to call us. You will find our phone number at the bottom of any email you have received from us. Our phone number is intentionally not published on our website. We operate office hours during which we are available on the phone to existing or potential clients that have already contacted us via our website and have been provided with our phone number. This allows us to spend most of our time caring for our dogs and puppies, and devoting the remainder to serving and supporting existing and seriously interested clients. Please note that email is the best way to reach us. Given the nature of our job, we tend to have our hands full with dogs and puppies and are often unable to answer the phone. If you would prefer to speak on the phone, you can email requesting a call back. Find out more about the family and team behind our successful breeding programme. 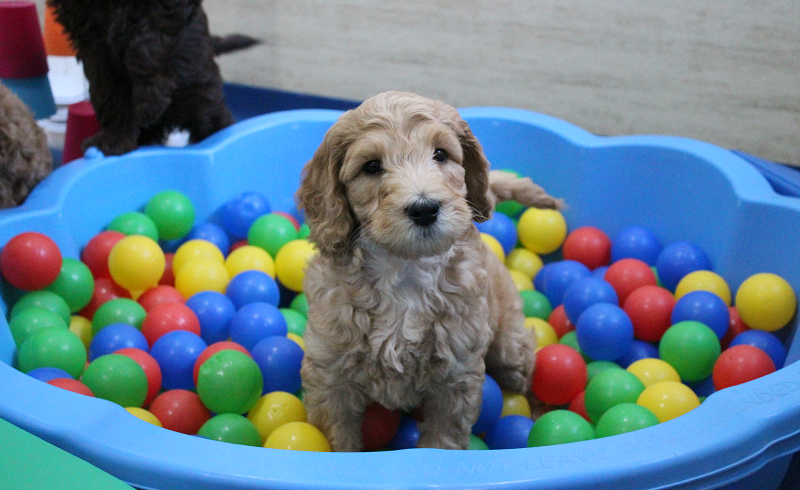 We make continual investment in our facilities to make sure our puppies grow up in the best environment possible. 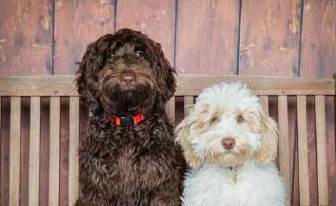 Would you like to have an Australian Labradoodle as part of our breeding programme at a discounted price?